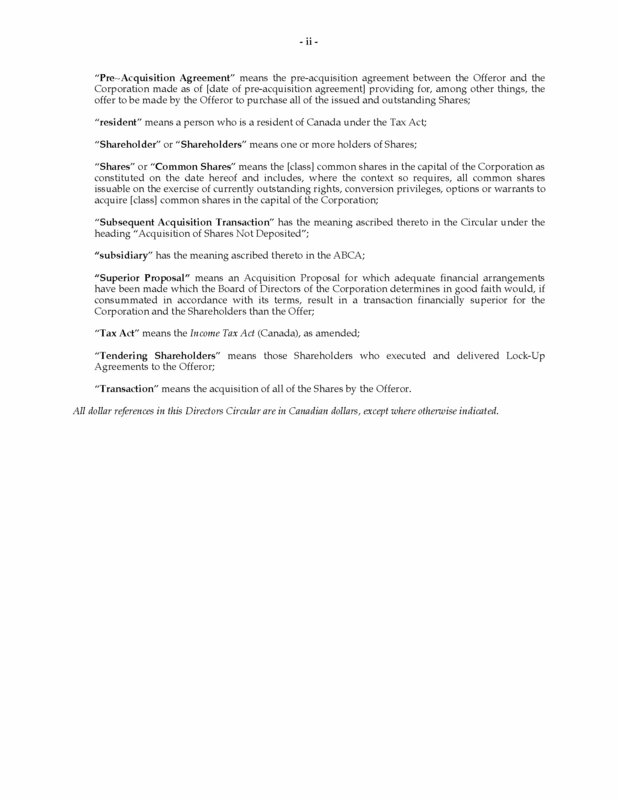 statutory rights of the security holders. 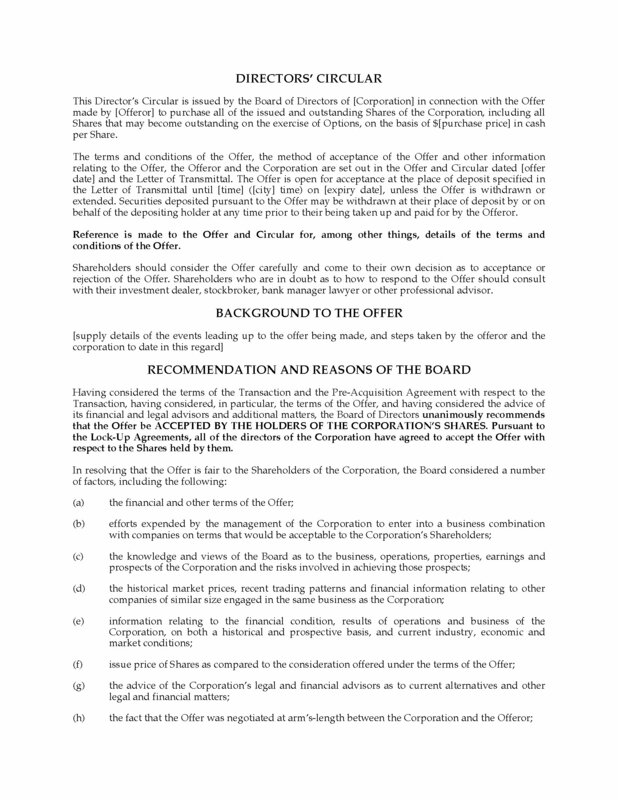 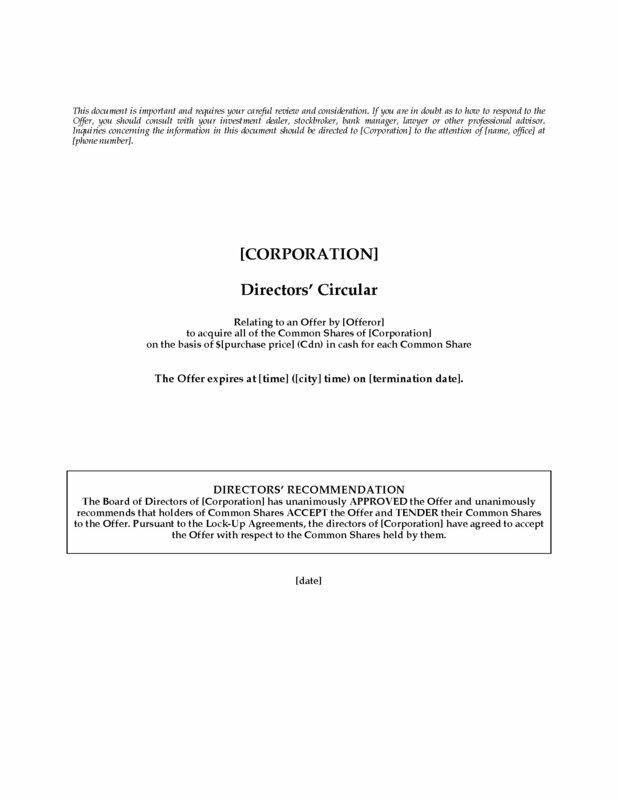 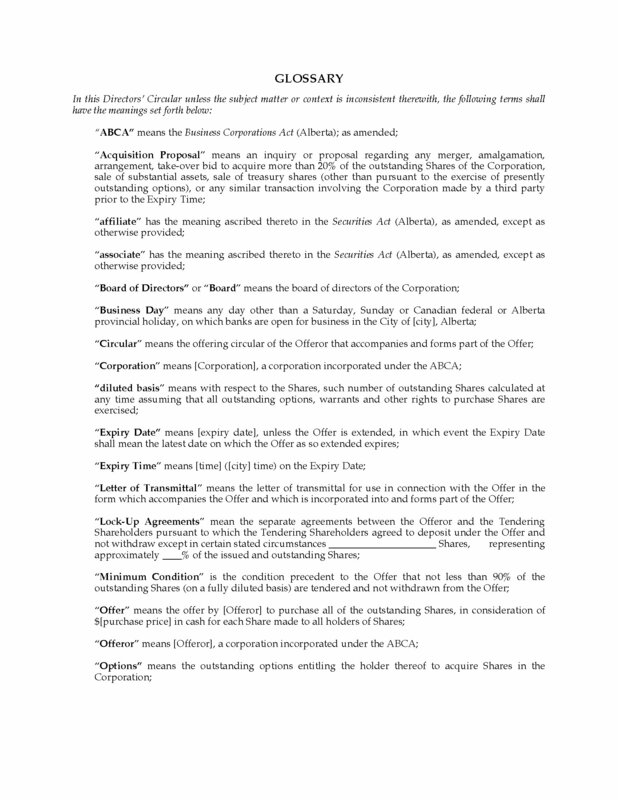 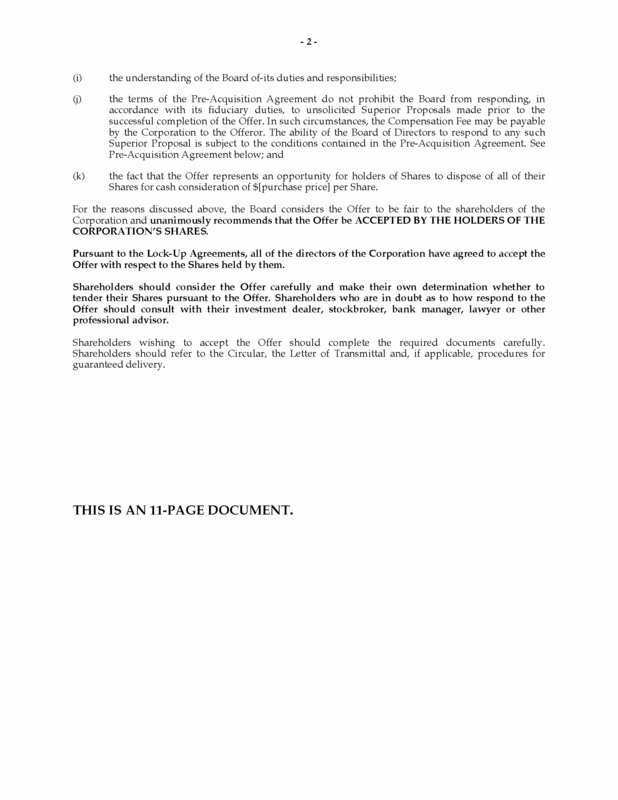 This Directors' Circular is compliant with Alberta laws regarding transfers of common shares. 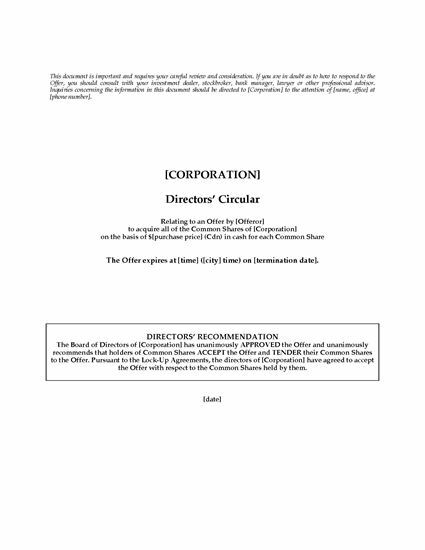 This is a digital download that you can easily customize for your situation.